I love these witch cake pops. 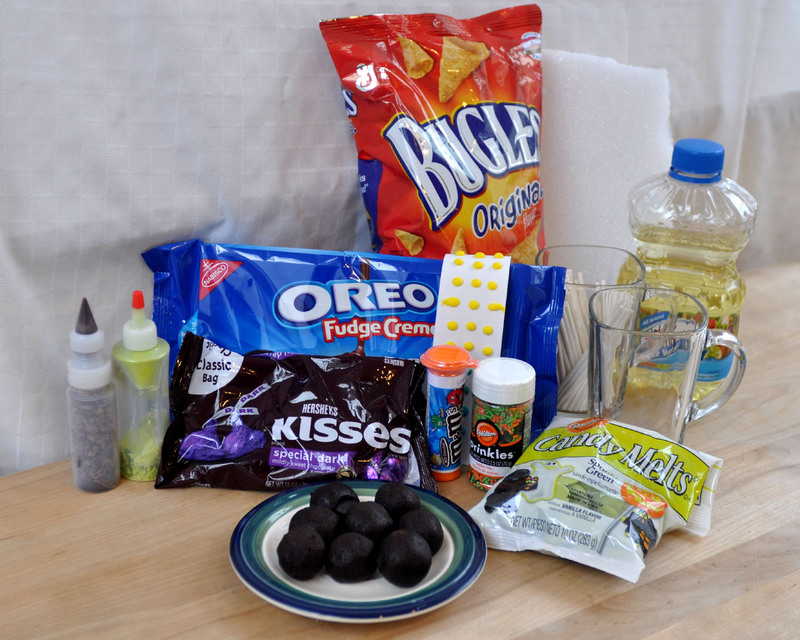 They're not hard to make, but you will have to make a run to the grocery store to stock up on the random crackers, cookies and candy to make them. 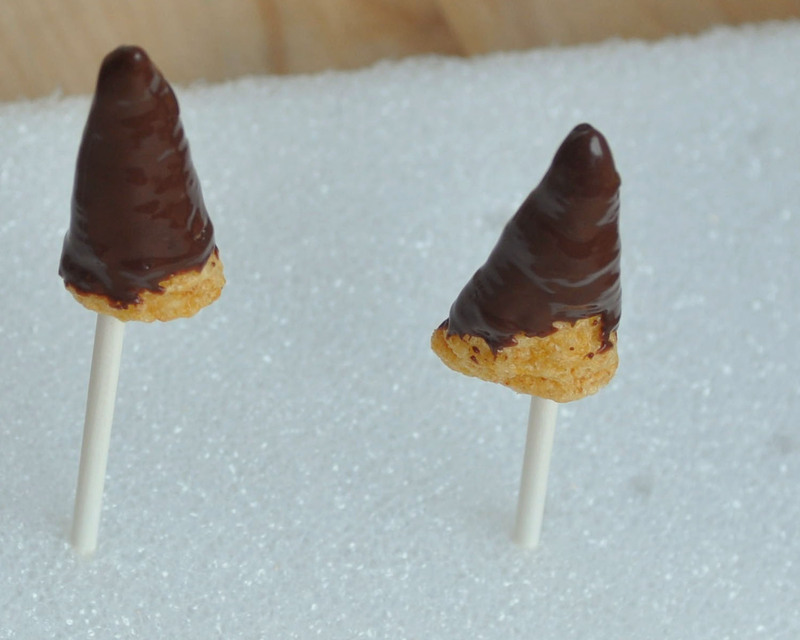 Before you begin dipping the cake pops, you will want to dip the Bugles for the witches' hats. They're not refrigerated, so they take a little longer to set up. Choose Bugles with a relatively flat bottom so that they will sit on the hat brim okay. 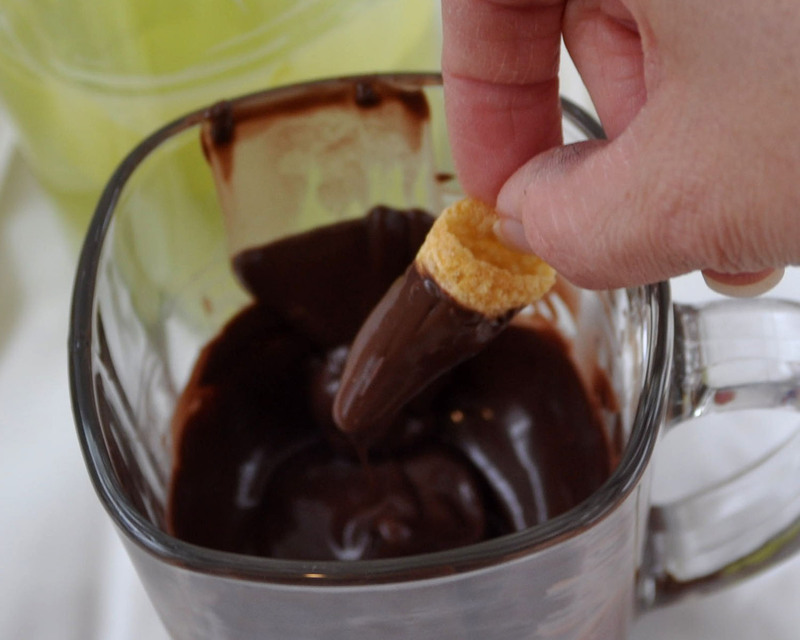 Dip the top 3/4 of the cracker into the melted dark chocolate. Set the hat on a lollipop stick that you already stuck into the styrofoam. Allow at least 10 minutes (pref. more) to set. We'll dip the bottom half when we're ready to put it on the witch... stay tuned. 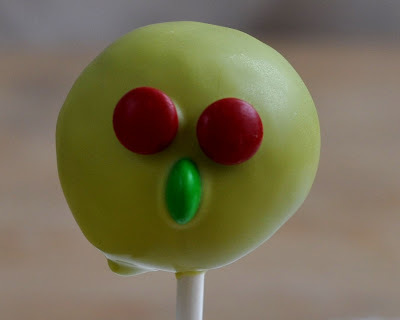 Click the link to see step-by-step how to make cake pops. 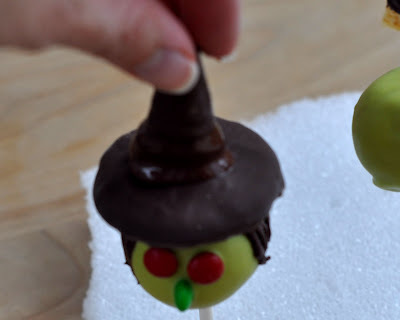 For these witch cake pops, I made my cake balls a little larger than usual-- so that the hats would fit on better. I used about 2 tsp. of cake ball dough for each pop. *Tip: Dip your lollipop stick in the melted candy before you insert it into the cake pop to help keep the cake on the stick. 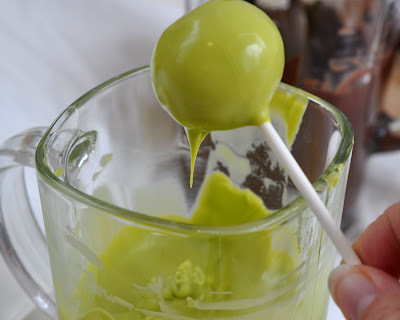 Dip the cake pop into the melted green candy (thinned with about 1 Tbsp. oil). Remember not to spin the stick. 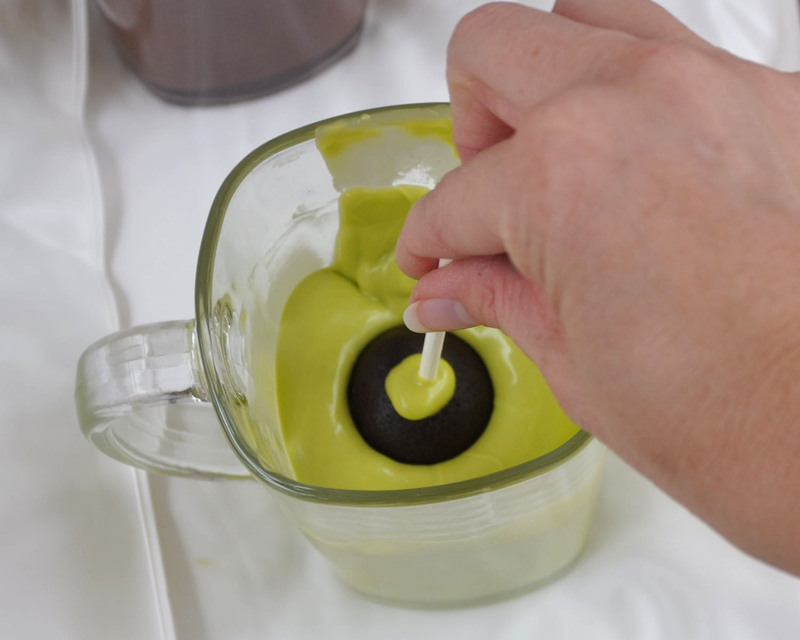 Just dip it, and if necessary, tip it side to side before you take it out of the candy. 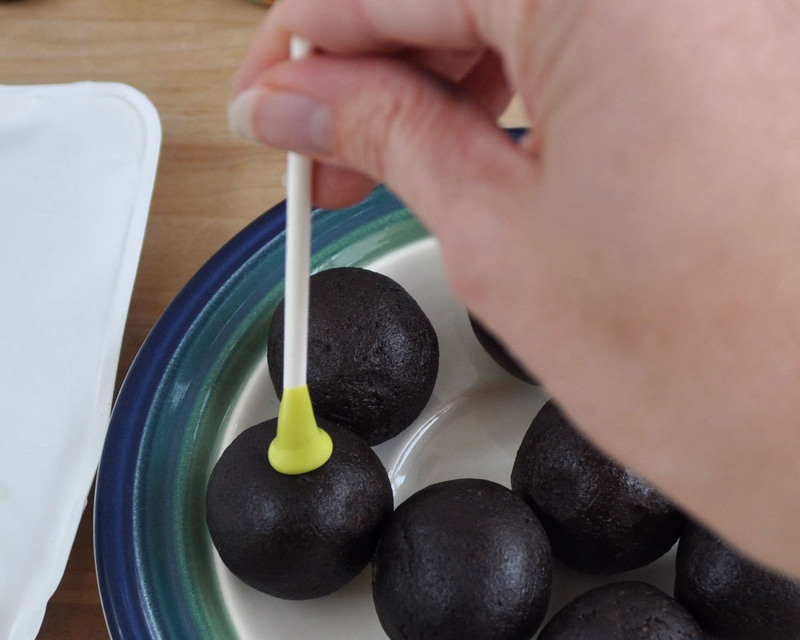 Gently tap the stick against the side of the mug to remove the excess candy. 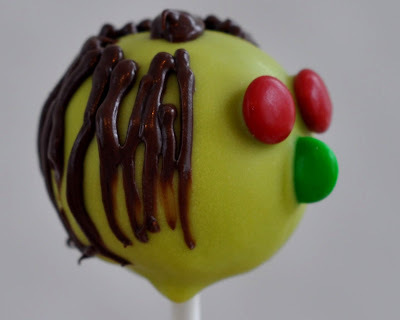 Before the candy sets, add your eyes, nose and mouth. Here, I used mini M&Ms to add the details. 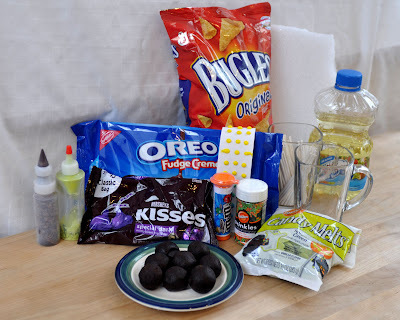 When the candy is set, add some dark chocolate hair, using a squeeze bottle or a plastic decorating bag with a small hole cut in the end. 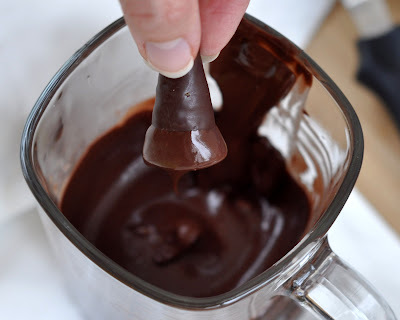 Add a little squirt of the chocolate to the top of the head to attach the hat brim. 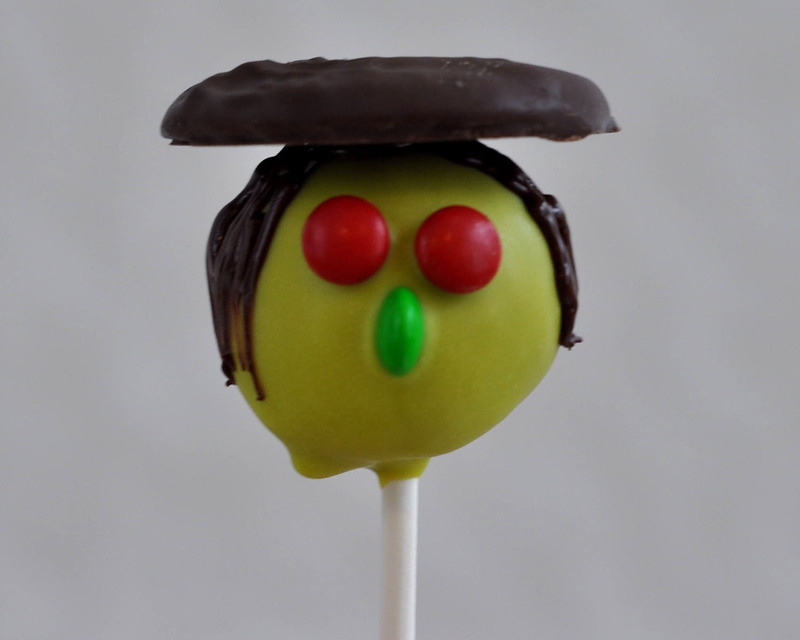 Note: If you flatten the top of the head before you dip the cake pop, your hat will be lower on the witch's face. And place it on top of the cookie to set. 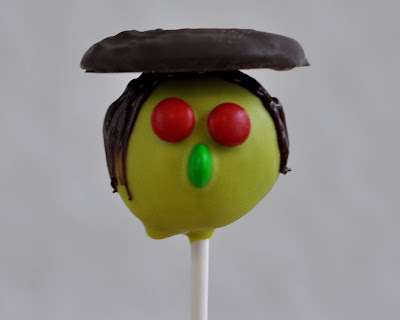 You can add some extra candy buttons or mini M&Ms to the front of the hat to embellish it if you want. 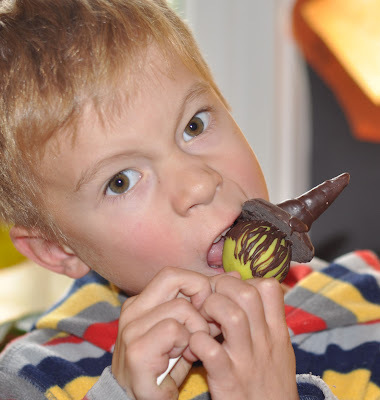 They're a hit with the 5-year-olds!